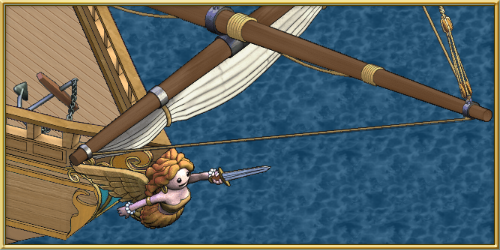 Blastin’ its way onto the oceans: The War Galleon! 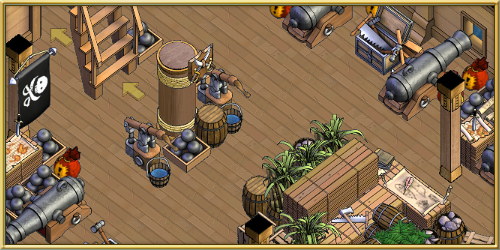 Stop by yer local shipyard and check out the newest type of ship to sail the seas, the War Galleon. This ship gives crews even more options when heading into battle. It packs quite a punch with 24 cannons shooting double shot on each side. 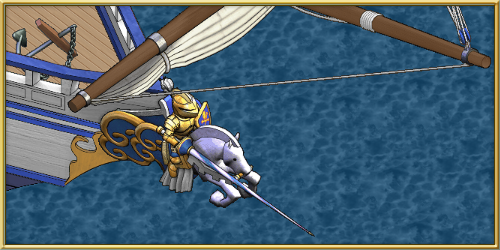 Be wary though, a wrong turn in battle could end up being more disastrous than on the more sturdy War Brig. This ship is designed for a larger crew lookin’ fer a fight. It can hold up to 40 crew members and can make its mark on the blockadin' board. It’s not a merchant vessel, it’s a weapon of war. 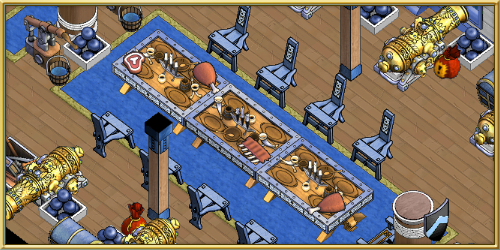 To celebrate this new ship type, we’ve released a very special Quest Class War Galleon. 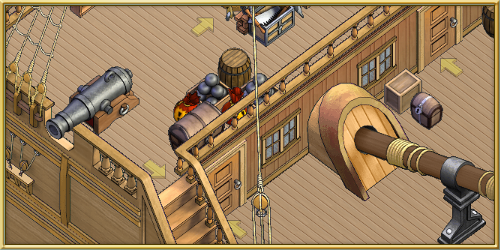 This limited edition ship is the perfect way to show off the newest edition to the Puzzle Pirates fleet. 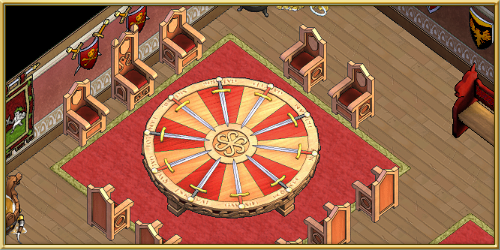 It's already set up fer a crew full o' brave pirates who can wield a blade. Conveniently, it also works for those who just like to sit around a table and share a barrel o' rum. 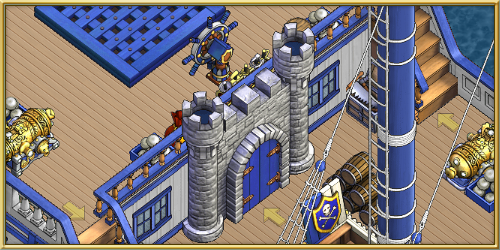 This heavily fortified ship will discourage anyone lookin' to storm a castle. Maybe yer crew is lookin’ fer some adventure or they have a task they need to complete? Either way this ship is only available fer a limited time. Ye best accept this quest, and hurry to yer local shipyard.